VLLC have been helping people to learn to speak foreign languages for 25 years. In fact, we’ve successfully helped over 12,000 people learn a new language. Whether you want to learn a language for business, travel or fun, or to keep your brain active: VLLC offer a range of in-house and online language courses that will help you achieve maximum results in the minimum amount of time. We pride ourselves on providing our students with the best possible learning experience: but don't take our word for it, ask our happy students! VLLC and Red Cross work together to make a difference. VLLC is proud to work with Australian Red Cross who give relief in times of crisis, care when its needed most and commitment when others turn away. Red Cross is there for people in need, no matter who they are, no matter where they live. As part of the International Red Cross Movement, Australian Red Cross helps millions of people around the world each year, with a special focus on local communities in Australia and the Asia Pacific. VLLC provides language and cultural training helping to prepare Australian Red Cross staff and delegates to communicate with international colleagues and in the countries to which they are deployed. To donate to Australian Red Cross: www.redcross.org.au. Thank you all at VLLC for being a part of the journey in helping Rueben achieve his dream to study music in Germany. 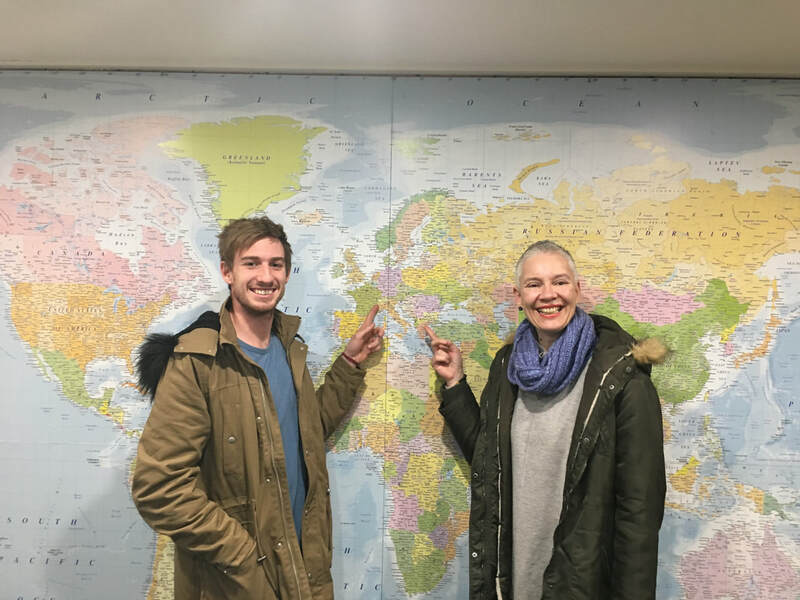 VLLC was absolutely the way to go with learning German and he has had many positive comments from Germans with regards to his German language proficiency. He now only speaks English when he Skype's with us at home. It was a well worth investment that gave an excellent result. Thank you!! I am learning French to keep my mind active and to try to understand the French news on the TV. I am not quite there yet as the news readers speak too fast for my brain to absorb. I also enjoy coming to the VLLC because of the people and the atmosphere. Isabelle is a fun tutor, who helps me to improve. I also appreciate the parking space for the disabled and the coffee is not bad either. I just had a full conversation with a taxi driver in Barcelona fully in Spanish. We made jokes, I asked him questions about the city and understood all of his answers. He asked me questions about Australia and understood my answers. I felt so amazed and pleased with myself afterwards. Thanks team VLLC, and big thanks to Vivian! Cindy Parker (Cindy is currently enrolled in Certificate II in Foreign Language Studies at VLLC). Whether its for work or travel, languages are about getting to know new people and different cultures. I'm looking forward to the journeys Arabic will take me on. Learning French gives me an interest outside of work and something different from my usual scientific studies. The future goal is to travel again to France and spend 3 months there in 2017. I love France, I love speaking French, my 1 ½ hour tutorials at VLLC with Laurence enable me to maintain and extend my level of fluency. Nigel Jones - French Student. ​I would like to express my thanks to you all for your effort and time spent on improving my language skills. The time I spent in your Centre was great. I got mot only good knowledge of English, but also explored a different way of thinking and imagination. Once again, I thank you and wish you all the best. Vakhtang A. - English Student. "The environment is very conducive to learning"
This centre is one of the most enjoyable learning experiences I have ever had! I think that the aims of the course have been reached and I really can speak Greek! I really enjoy the tutorials. The staff are really friendly and welcoming and I look forward to coming to classes each week. 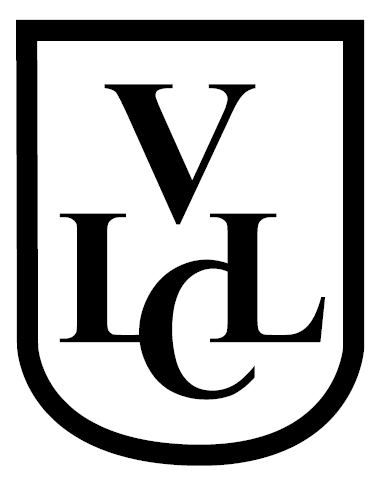 Join the VLLC on-line learning community via social media. Catch up with the latest news and discussions on the VLLC Blog. Have more questions? Check out our FAQs page for answers to commonly asked questions. Sign-up to our e-newsletter to get the latest news, tips and advice straight to your in-box! VLLC offer a comprehensive range of language courses with both on-line and in-house options available. Click below for details.